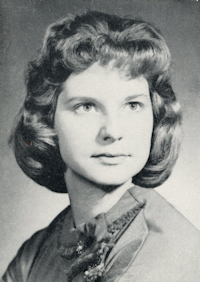 Obituary – Botkin, Karen Kay (Rutherford) « Perry High School Alumni Association, Inc.
﻿All School Revue ’58-’59; Spanish Assembly ’59-’60; Junior Play ’59-’60; Christmas Vespers ’58-’61. 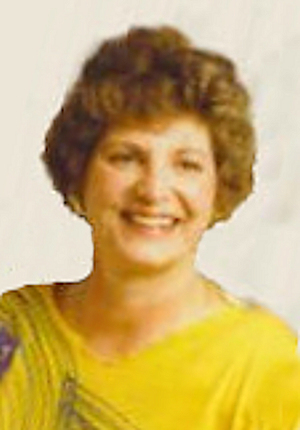 Karen Kay Botkin, a Jacksboro, Texas homemaker, died Thursday at her home after a long illness. She was 48. Funeral will be at 2 p.m. Saturday at First Assembly of God in Jacksboro. Burial will be in Wesley Chapel Cemetery in Jack County. Coker Funeral Home in Jacksboro is in charge of arrangements. Mrs. Botkin was born in Noble County, Okla. She was a member of the American Cancer Society, Granbury Grand Squares, the Home Extension Service and AGLOW. Survivors: Husband, Fred Botkin of Jacksboro; two sons, Troy Botkin of Grand Prairie and Drew Botkin of Washington; two daughters, Shelly Malcolm of Waco and Keri Jo Botkin of Jacksboro; father, the Rev. Robert Rutherford of Jacksboro; four brothers, Gene Rutherford of Kansas, the Rev. Irvin Rutherford of Singapore, George Rutherford of California and Roger Rutherford of Josephine; three sisters, Pat Allen and Reba Pippin, both of Jacksboro, and Delores Pipper of Fort Worth; and two grandchildren.